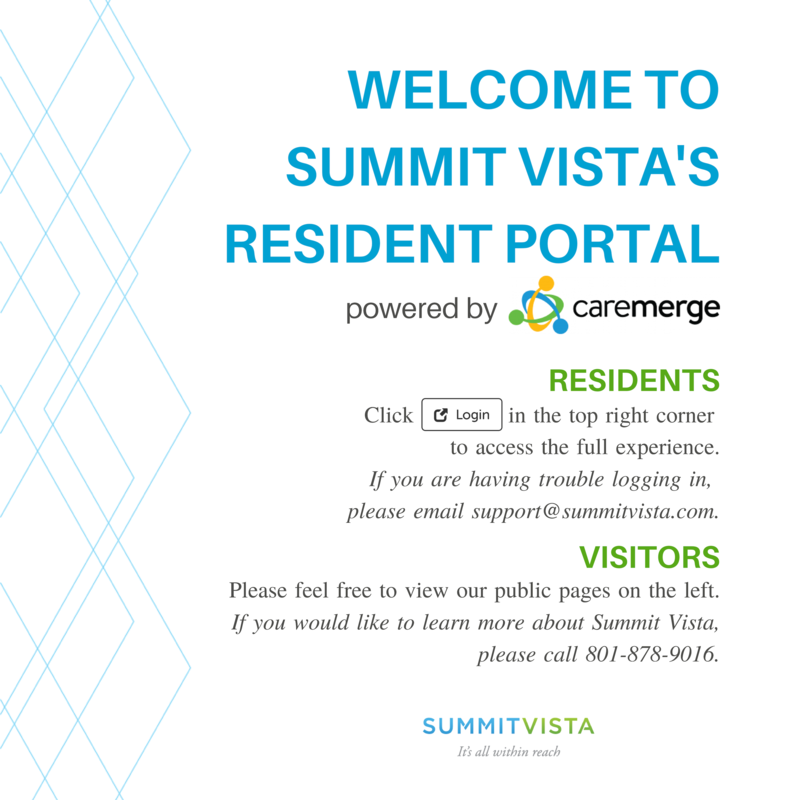 Welcome to Summit Vista&apos;s Resident Portal, powered by Caremerge! If you a resident, click "Login" in the top right corner to access the full experience. If you are having trouble logging in, please email support@summitvista.com. If you are a visitor, please feel free to view our public pages on the left. If you would like to learn more about Summit Vista, please call 801-878-9016.